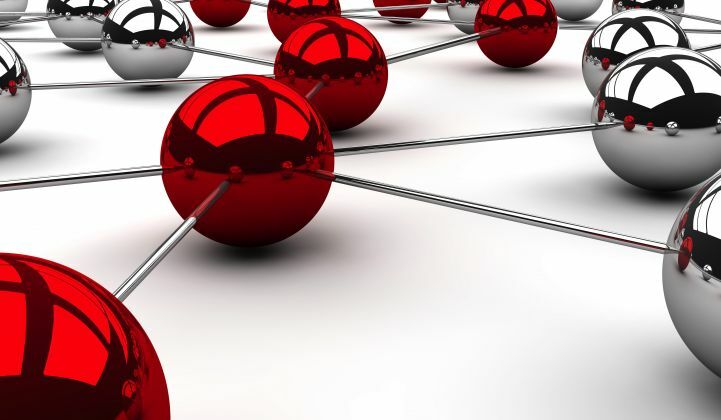 Cisco has just made it a lot easier for third parties to write applications to run on its smart grid routers and networks -- and in doing so, it has staked its latest claim to capturing the potential of distributed intelligence at the edge of the grid. On Wednesday, the networking giant launched IOx, a version of its IOS networking software that allows partners and third-party developers to write applications for its industrial routers -- including the smart grid routers it’s deployed at hundreds of utilities around the world -- based on the open-source Linux operating system. That’s something it’s offered on its servers and core network routers for some time, but it’s now coming to its hardened field area network (FAN) routers that talk to grid devices like Itron’s smart meters and Alstom’s substation gear. Other initial partners include enterprise data management provider OSIsoft, which can now write applications to intercept and process data on routers in the field. “We need to process data at the edge, we need to run automation closer to the devices -- in part because [with] the volume of data being generated, we can’t send it back,” he said. But distributed intelligence can also open up new ways to integrate distributed grid resources, from rooftop solar PV and plug-in vehicle chargers to demand response-enabled customers and energy storage systems, that are difficult if not impossible to manage with today’s centralized grid IT architectures, he said. That’s not a vision unique to Cisco, of course. In fact, this week’s DistribuTECH conference in San Antonio, Texas provides a smorgasbord of distributed intelligence smart grid systems. Consider Silver Spring Networks’ newly launched technology suite to turn smart meters and other devices into virtualized sensors and computing platforms, the field device data-enabled grid operations platforms from General Electric and Siemens, or the multi-vendor edge interoperability on display by Duke Energy, which happens to be one of Cisco’s biggest utility partners. In the next few months, IOx will become available on Cisco’s CGR 1240 connected grid routers, which form the backbone of its IPv6 wireless mesh grid networks, and its 819 integrated service routers, which sit in utility vehicles and connect to mobile devices via Wi-Fi and other networks, Jouret said. The rest of its portfolio, including its routers that now connect to distribution grid devices, will eventually be switched to IOx as well, he said. In simple terms, IOx-enabled routers will have IOS and Linux running side by side, using multi-core processors, he said. Developers will have access to a software developers kit (SDK) that’s “pretty much a vanilla Linux environment,” modified to take the importance of networking into account with such features as traffic prioritization, the ability to compress data to meet bandwidth constraints, and storage for when the connection isn’t available. That’s the kind of data integration that could open up a much faster, more flexible set of resources for data management and analytics, Ramanj Pamidi, OSIsoft Center of Excellence engineer, said during an interview at DistribuTECH. “It helps me get closer to the actual field devices -- all the wind turbines, all the solar farms,” he said, with the ability to pick and choose which data points are most needed to analyze and derive the information it’s after. It’s also more secure, since it doesn't have to be transmitted across the entire network, and can be stored for times when the network is unavailable, he noted. In similar fashion, Itron is looking at uses including distributed analytics, real-time monitoring and dynamic network control, and has “been actively integrating IOx into [its] smart energy and water solutions,” Jeff Carkhuff, Itron’s vice president of global product management for electricity, said in a press release. While developments like these were already possible using Cisco’s IOS, it should be much faster and simpler to develop them on an open-source platform, Jouret said. “I think it really lowers the barriers to entry, just as we’ve seen in the smartphone revolution,” he said. Even so, there are lots of simpler, older pieces of grid equipment, like remote terminal units (RTU) or intelligent end devices (IED), that could be replaced with with “virtualized” versions in the form of applications hosted on Cisco-enabled grid devices, he said. There’s no doubt that utilities aren’t able to make use of all the data they’re collecting from their smart meters, let alone the growing number of customer-owned systems that are having an increased impact on how they run their grids. The future will only bring more of these devices, adding to the pressure, Paul De Martini, former Southern California Edison and Cisco smart grid executive, noted in a Monday talk in San Antonio. “It you don’t have quality, reliable data coming out of the field, it’s going to be next to impossible to manage in this kind of domain,” he said. That means that utilities are going to have to organize themselves around new field data management architectures. “I think a connected grid router will be the point where this starts to happen,” he said.